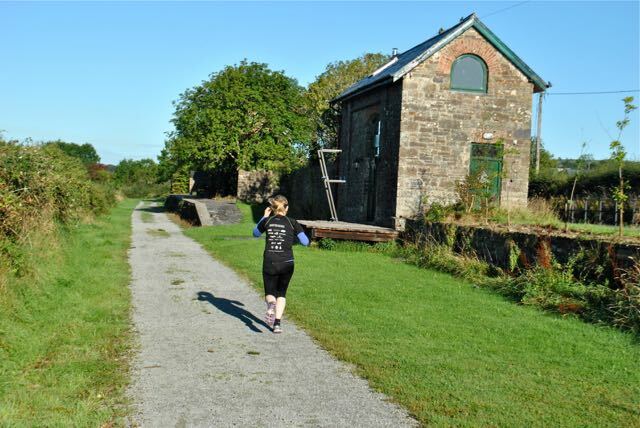 On the day it was reported that the popular Great Western Greenway in Mayo had just won an international eco award, I set out to explore its unsung southern counterpart. 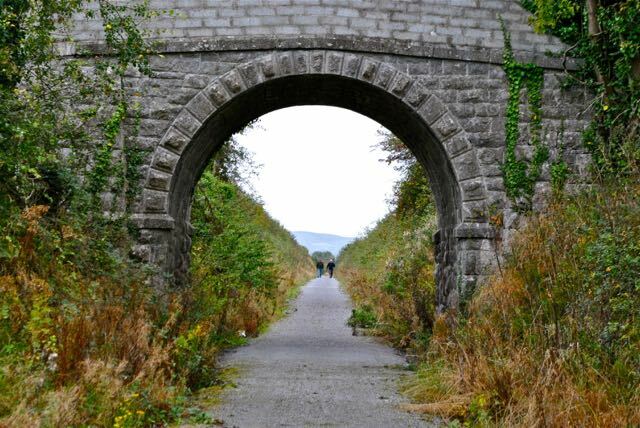 The Great Southern Trail is a 40 km greenway developed for off road walking and cycling down the old Limerick – Tralee railway, the last major line to be closed in Ireland. The whole stretch can easily be cycled or not so easily hiked in a day. If you want to walk it , it makes more sense to take 2 or 3 leisurely days over it, either staying in towns along the route or camping, giving you time to explore the suggested loops off the track on quiet backroads. 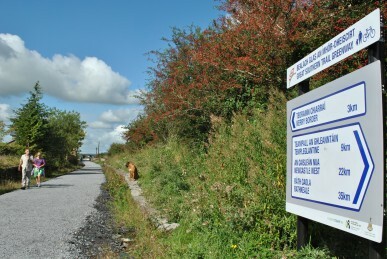 So far the route is open from Rathkeale to the Kerry border 4 km beyond Abbeyfeale and plans are in place to extend the trail to the North but so far the hopes of a Greenway running all the way to Tralee have been stymied by a stand off with North Kerry landowners. 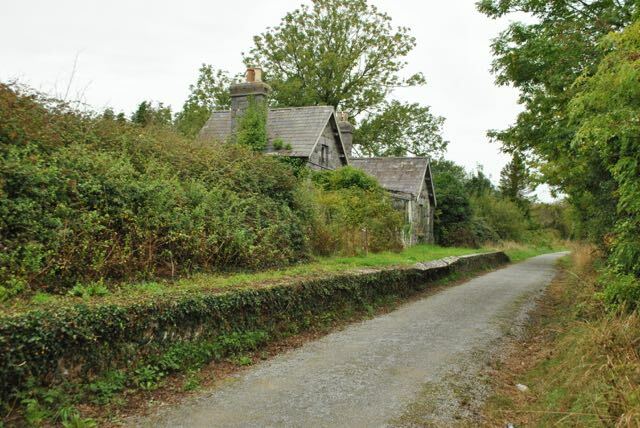 This is somewhat bizarre as the line, finally abandoned in 1987, is unique in Ireland in that the land has not been sold back to the farmers but is still owned by CIE and as such has rights of way. 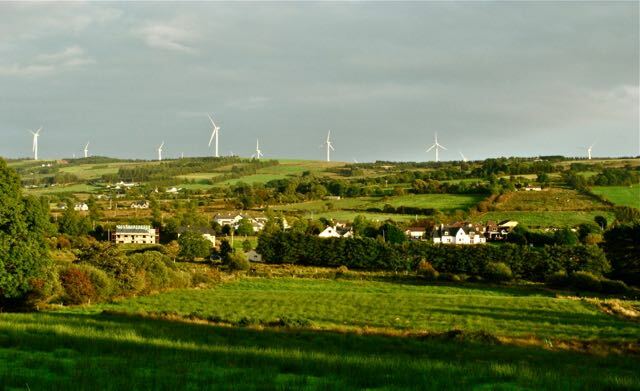 A recent door to door survey confirmed huge support for the trail and a public meeting on the 19th October made progress on hopes for a 9km extension to Listowel. There are no vertigo inducing ridge walks or muscle straining summit assaults and the scenery is not jaw dropingly wild and remote but the Great Southern Trail has a lot in its favor when considering a hiking destination. The surface is all firm, graveled and well drained, so you don’t need those heavy hiking boots. It is also mostly very sheltered by diverse hedgerows of all the native species and beech, sycamore and more, so it’s suitable when more exposed walks would be hard going. With the trailhead near the end of the Mid-West M20 motorway system, it won’t take as long as more remote locations to get to or back from. There are many places along the trail to join or leave so its easy to tailor a walk to suit ability or time. The going is easy – open to young and old and even prams. You can push yourself with speed or distance if you want – but you won’t need mountain rescue after a fall and the level ground is great for dodgy knees. 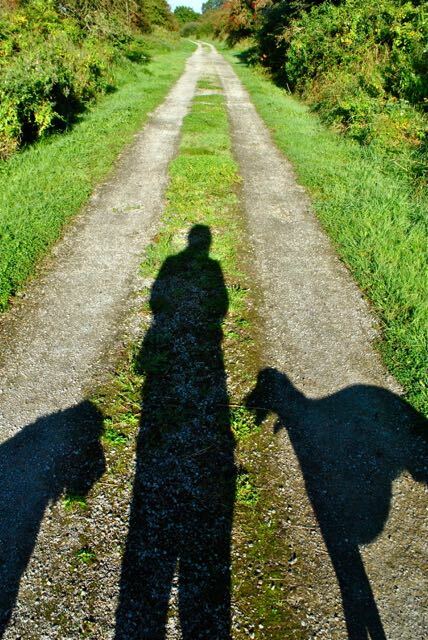 Going for a long hike with dogs in Ireland has problems. It is virtually impossible to take dogs into the hills – the farmers understandably don’t like it. 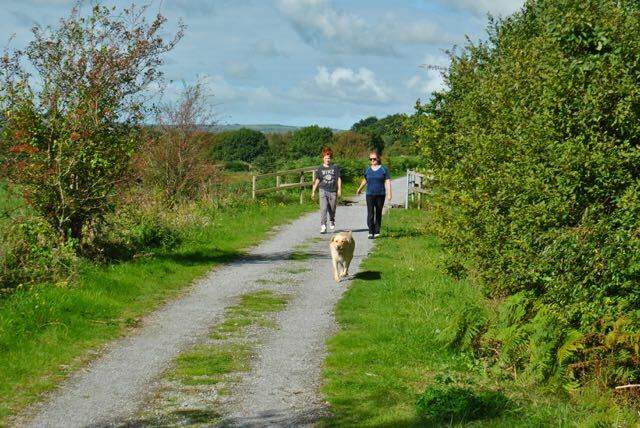 Coillte land is usually canine friendly but although much of it is in beautiful locations it is somewhat monotonous and very limited when looking for an unbroken stretch of 40kms. Canal tow paths are good but by their very nature cross flat terrain whereas the Great Southern Trail passes through some lovely hilly country. So much so that the track up to Barnagh Station from Newcastle West with its gradient of 1 in 60 was a feared climb in the steam age and meant that the trains could only carry half the load possible on the rest of the railway network. The Great Southern Trail is a route, not only through lush countryside but also through a fascinating past, industrial, political and even agricultural. The trailhead is at Rathkeale station, now home to the Palatine museum, dedicated to the hundreds of German Protestant refugees who were successfully settled around 1710 on the lands of Sir Thomas Southwell of Castle Matrix just outside of town. Starting down the trail with my dogs through a dense tunnel of greenery and crossing over the River Deel I came upon a sign for Castle Matrix offering teas, tours and B+B. 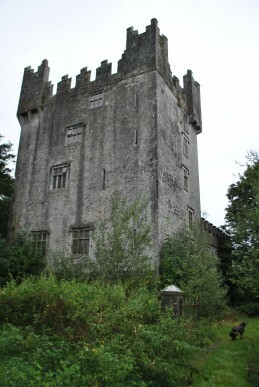 Hoping to fortify myself for the hike ahead with a cuppa, I set off down the overgrown boreen but was unable to rouse anyone from the somewhat forlorn looking castle tower. Sir Walter Raleigh had given some of the first potatoes in Ireland to Southwell who grew them in the land around the Castle and distributed the seed crop throughout Munster in 1610. Leaving behind the busy and noisy N21 we soon passed under the first of five fine cut stone bridges on the leg to Ardagh. The hedges were quite tall and dense either side of the trail making it very sheltered but allowing only tunnel vision to the hills beyond Newcastle West rising up above the track line. 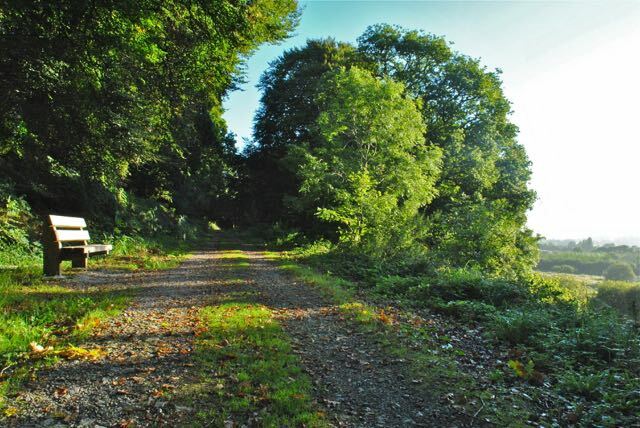 The first optional loop comes off the track around here leading North East then South West past Cahermoyle House where William Smith O’Brien, the Irish Nationalist and rebellion leader had a home. Found guilty of high treason he was sentenced to be hung, drawn and quartered but after a petition for clemency was signed by 20,000 Irish people he was transported to Tasmania, returning after an unconditional pardon 7 years later. The mansion now standing was built for his son Edward in 1870 and has become a nursing home. After an hour or so the views opened up across the verdant pastureland of the Golden Vale before we arrived at the platform and station buildings of Ardagh, now sadly derelict and slowly returning to nature. From here it is a short stroll into Ardagh village and only another 4 km to Newcastle down the first section of track to be cleared and surfaced by the Great Southern Trail Action Group. The dead straight, due North/South track leads to a housing estate surrounding the old Station buildings on the edge of town. Newcastle is a sizable and pleasant town with the restored Medieval Desmond Castle and riverside walks through the Demense grounds. With plenty of pubs, restaurants and accommodation this could make a good overnight stop being roughly a third of the way along the trail. 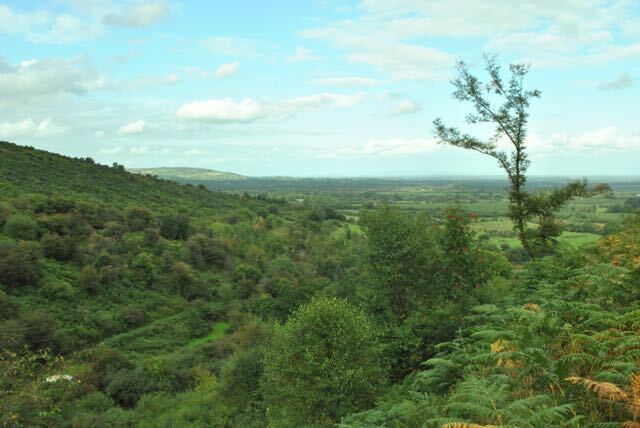 The next 13 km section of the trail up to the Barnagh tunnel and then down to Templeglantine is perhaps the most attractive with far reaching views over the Limerick plain especially if the 6km Rooskagh loop up into the hills is included. After an initial slight descent we reached an old level crossing with an attractive house and garden proudly displaying homemade signals and railway memorabilia. After crossing a river the trail started to curve and climb gradually toward the forestry clad slopes of Sugar Hill. Soon after crossing the restored Ferguson’sViaduct, the noisy N21 comes alongside and must be crossed after 200m or so to admire the views across to the Galtee and Silvermine Mountains and to follow the stand alone kilometer of track to the tunnel. 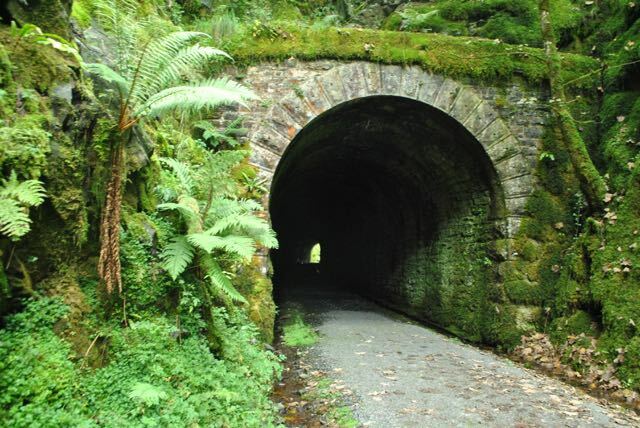 Approached by a raised embankment at first and then a very deep, shady and mossy cutting the 100m tunnel is home to 8 or 9 different bat species and some extravagant ferns. A short stretch South of the tunnel including Barnagh Station have yet to be cleared so after a fruitless attempt to battle my way through the overgrown vegetation and flooded cutting I conceded defeat and retraced my steps to the N21 and after another short stretch of tarmac walkway, re-emerged onto the trackbed. Although the road stays quite close from here to Abbeyfeale the pleasant views and quiet otherworldliness of the abandoned railway are enough to detach you from the traffic hum, as you slowly wind down the valley towards the cluster of buildings visible at Templeglantine – the windmills sprouting on the ridge above a reminder of the rebirth of other technologies older by far than the steam trains. The village, 500m down a farm lane to the left is a good overnight stop, either at the Devon Hotel or, has I did, camping beside a picnic table just below the school. With the dogs keen to get going on the last 15km the next morning we climbed above the mist on the last optional loop, cutting back to the track early to enjoy the section through the beech, oak and chestnut trees of Tullig wood, stopping at a well placed bench for breakfast overlooking the Serpentine meanderings of the Allaghaun river. After a kilometer or so the woods thin and the views open out onto a broad flat river plain. Overtaken by a lycra clad runner at the beautifully restored Devon Road Station we followed our shadows West down a foragers paradise with a larder of apples, blackberries, wild strawberries and hazelnuts on either side. The burbling river is very close at times here and the sandy banks are home to the county’s largest colony of sand martins. The sunshine led me to entertain thoughts of a dip but with the trail end almost in sight we carried on, under another cut stone bridge and passing dog walkers and our first cyclists, arrived at the Abbeyfeale station now a private home. From here to Kerry the track has recently been cleared with a new gravel surface and will benefit from some time worn bedding in, but the countryside is idyllic in the sunshine with extensive vistas and twinkling waterways, the Kingdom’s hills approaching. Crossing the river Oolagh on another (dog paw unfriendly) metal grill bridge, traffic noise from the N21 abated as it turned South as we turned North West and, lulled into an hypnotic walking rhythm it was a rather sudden shock to come to the end of the line, at least the restored line, at the border. 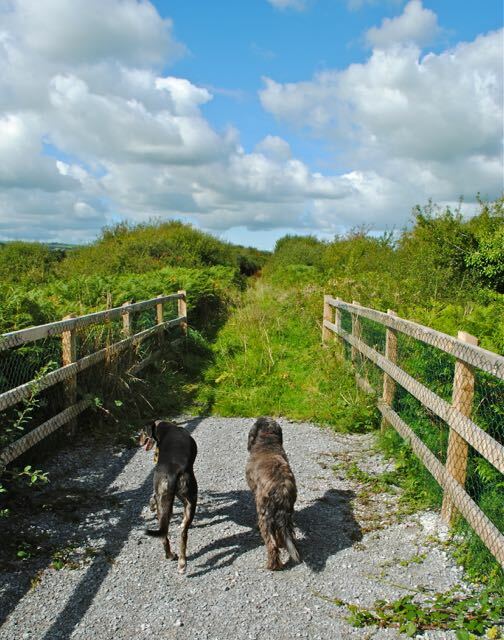 Hopefully, in time, the trail will continue on to Tralee and Fenit on the coast, but for now we retraced our steps to Abbeyfeale and a dog friendly taxi to our starting point at Rathkeale. There’s lots of information on the Action Groups website. ( southern trail.net) and their Facebook page (facebook.com/listowelrailwalk) has 1500 followers. The very accommodating Nicky’s Hackney in Abbeyfeale will take dogs. Steve Barham. Hollymount. Peterswell. Co Galway.